While a cafe or restaurant’s worth is measured by the quality of its food and service, factors such as paint selection can play a role in business success too. So draw on the psychology of colour this summer and boost business with careful paint selection and the help of an experienced Geelong painter and decorator. 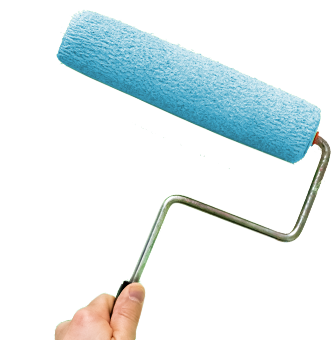 At Geelong Prestige Painting, we know that colour choice has an impact on atmosphere and people’s emotions. Interior designers have been drawing the psychology of colour for years to carefully select paint themes that attract diners to certain businesses, enhance the dining experience and even factor into the duration of their stay. For example, fast-food restaurants often feature red in their design. Red draws a diner’s attention, is known to stimulate hunger and impulse eating and is a great colour for businesses looking for a “get in and out quickly” customer who helps with rapid turnover. Orange can work in a similar manner. Green tones are associated with nature, health and freshness and work well for eateries serving up healthy dining experiences. Light colours help make smaller places look roomier while neutral tones and soft hues make for relaxed, comfortable dining. Geelong Prestige Painting’s professional team has enlivened many restaurants and cafes through fresh paint and decorating that can change the whole vibe of a business. While we are internal and external paint specialists, we can also offer advice to clients about colour selection and paint type. In today’s competitive market the aesthetic of a dining venue can make a world of difference in getting people through the front door. If you have a welcoming and well-maintained environment customers are much more likely to spend more time in your establishment, therefore spending more money. Our experienced Geelong painter and decorator team has worked on numerous projects across the city and surrounds, including the recent Sailors’ Rest refurbishment. If you want to give your cafe or restaurant a lift this summer, think paint, then contact us to see how we can help.